Dr. Richard Hochman always appreciates feedback from his valued patients. To date, we’re thrilled to have collected 18 reviews with an average rating of 4.89 out of 5 stars. 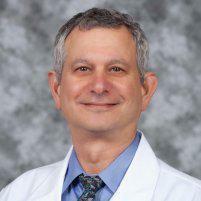 Please read what others are saying about Dr. Richard Hochman below, and as always, we would love to collect your feedback. Outstanding as usual. Great office personnel and Doctor Hochman is amazing. Very highly recommended. I was accommodated as a last minute appointment, the Thursday before Good Friday, I was seen in the afternoon after I called first thing in the morning with pain. Dr. Hochman was very nice and listened to my concerns. I was happy with my visit overall. Staff was friendly and efficient. Dr. Hochman addressed my problem, solved it and I was on my way; a good experience. He is VERY thorough doctor, I loved that, because in the past no one was able to give clarification. Dr. H was a pleasure to visit and I'm looking forward to a possible great surgery. Thank you! Great staff, great Dr, and great service. Dr Hochman is the best at what he does and I highly recommend him. Big thanks to him & his clinic. This is the most caring doctor: easy to talk to. I have serious arthritis pain in my foot and thanks to him I can still walk. Quick and efficient even with systems down and some staff out sick. Dr Hochman is a great podiatrist, he will take care of any issues and takes the time to answer my questions. I have been going there for many years and highly recommend him. Everyone at the office is very professional and greets you as a friend, especially my friend Janice. I did not wait long and the Doctor was thorough, helpful, and efficient. Doctor was very professional and explained everything thoroughly. His assistants and office staff were very polite and helpful. I was very satisfied with my visit. Great in every way- friendly, knowledgeable, caring, patient and productive. His staff is as friendly as he is and helpful in every way. The office is very accommodating and the perfect place to go have your podiatry needs met successfully. Good attention and attitude of all personnel . I’m from a very small community in Indiana. I was absolutely amazed with Dr Hochman and his staff. First of all I would have waited months to see a podiatrist in Indiana I got into Dr Hochman in less than a week. Secondly I had 4 different issues and he was wonderful about everything. I never felt like he was rushing me to get to the next patient. He explained everything very thoroughly and I never felt rushed. Most specialists will ask patients to only present no more than two issues per visit. Dr. Hochman was extremely knowledgeable and up to date on every issue I presented. His staff was outstanding they made sure I understood my billing and was very helpful. I would highly recommended this facility to anyone regardless of age.